For the past month I’ve been using the PowSmart brush every time I brush my teeth. I figured that if I am going to evaluate something, how much better can a toothbrush be evaluated than in my very own mouth? I’ve got to say that I have come away very impressed with this device. The first point I’d like to drive home is the battery. I received the brush about 5 weeks ago, I have used it every time I’ve brushed my teeth, and it is still running from the original charge. That alone is impressive. The company tells me that their testing has indicated the battery will run for 90 days at least on a single charge, so I’m excited to see how long mine lasts. These are modes that are similar to other powered brushes currently on the market. The model I’ve been using is the one pictured above. It has power button that is slightly raised from the handle surface. This requires the user to grip the brush just under the button to avoid accidentally turning the brush off during use, but I have not found that to really be an issue at all as I’ve always held brushes close to the end of the handle. The device is well built and sturdy. It feels good in your hand and the brush attaches snugly. The overall feel is “high quality” with a well designed feel. The charger cord is a USB interface meaning you can charge your brush with your phone charger, laptop, or any other device that provides power thru USB. The kit I received did not come with an A/C adapter so you have to provide your own, however the company is considering adding one to future packages. The USB charger (pictured above) is hardwired into the base and cannot be removed. I asked about that and found out that the base is waterproof just in case it should get sprayed or knocked into a sink full of water. I had thought the base would have a USB Micro port, but that would prevent the charger from having this waterproof protection, which I find to be a nice touch. If your brush charger ever failed, the system would be worthless. All powered brushes have this feature, that I’m aware of. There are 2 types of powered toothbrushes currently on the market. One is sonic, featuring vibration of the brush, and the other is mechanical, featuring a clockwise/counterclockwise rotation of the brush. PowSmart uses the sonic tech and has done so very well. The 40,000 VPM is powerful, but not overbearing and leaves a nice clean feeling on the teeth. There are also an assortment of brush heads that have different bristle types to accommodate your brushing style. The company is currently looking for US distribution and I would think this device would be a hot seller if priced right. 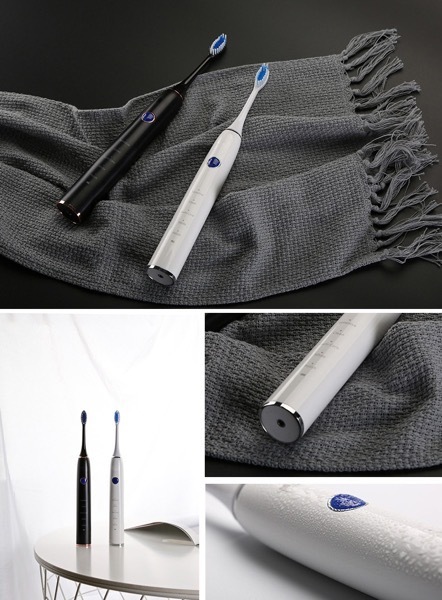 If you are a company looking for a powered toothbrush line to distribute, PowSmart could be a nice line to offer. The product is definitely ready for prime time. Tomorrow is Christmas Eve and every year about this time I try to let my readers know about a great service that is provided by NORAD. The government entity NORAD is a combined effort of the US and Canada that “provides aerospace warming, air sovereignty, and defense of North America”. Basically it tracks anything in the air to make sure it is not a threat to North America and they’ve been doing that since 1958. 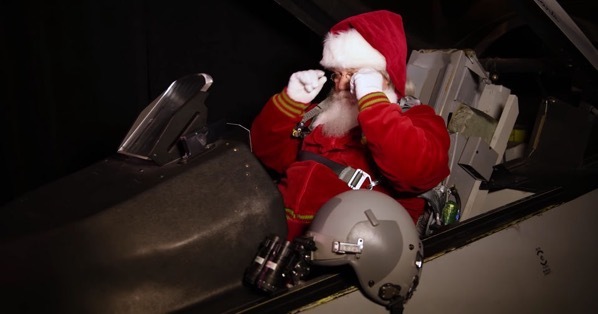 However, since they are uniquely qualified to track aircraft, the organization also is uniquely qualified to track Santa!!! 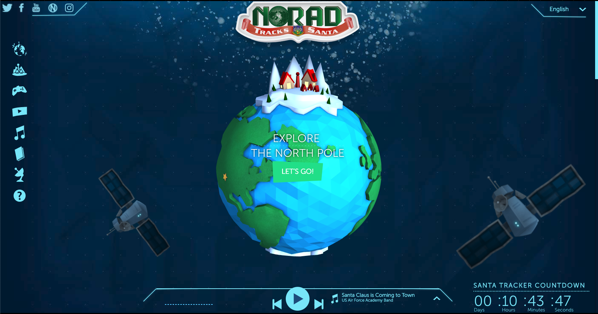 To follow Santa on his journey around the world bringing toys to all the boys and girls, go to the NORAD Santa Tracker. For those truly interested in when Santa will arrive in their area, the trackers have a phone bank setup where they can answer those types of questions for you! The trackers are real life soldiers who work at NORAD and they volunteer their time every year to provide this service. I personally want to thank all of the folks in the armed forces who donate their time to this worthy cause every year. 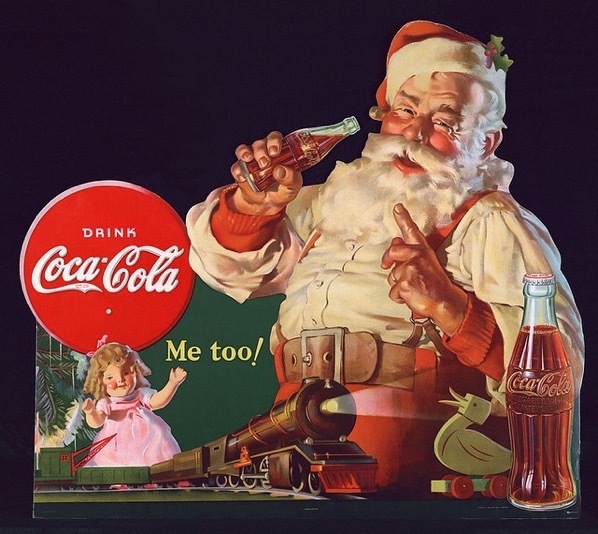 Thanks for bringing Christmas joy to so many of us. I’ve called and spoken with them before and it was a great experience for the kids involved with that call. I cannot say enough about how grateful I am for all you do!!! I’d also like to take this opportunity to thank all of the brave men and women who are serving our country and keeping the rest of us safe from those who would do us harm. Your sacrifice is appreciated by me more than words can tell and will always be remembered by me and those I love. If you would like to read the complete history of how NORAD came to provide this valuable and FREE service to kids and families, Wikipedia has the whole history of the program here. I’ve got to say it’s a pretty neat read and something that shows how a “happy accident” can bring joy to so many. The good people at Google have also created a Santa Tracker that can be accessed by clicking here. I don’t think they have a phone service like NORAD does, but their tracker is pretty neat. Every year I try to take a bit of a break between Christmas & New Year’s Day. We all know that our lives are fast paced with little free time and often we just don’t get the opportunity to look out the window and enjoy the landscape as the bullet train of life whizzes down the rails. A few years back, I noticed how easy it is to get distracted by all the little things that life throws at us and consequently how easy it is to allow those distractions to take over and keep us from enjoying our lives. Because of that realization, I decided to make a concerted effort to deliberately build into my life some time to “get all the knots out of my rope” as the cowboys used to say. One of the biggest changes I made was to take time off during the holiday season. From Christmas Eve to January 2nd I try and dial it back a bit. I close my practice and spend more time in my home with friends, relatives, and other people I love. One of the biggest discoveries I’ve made in the past few years is the importance of sleep in our lives. 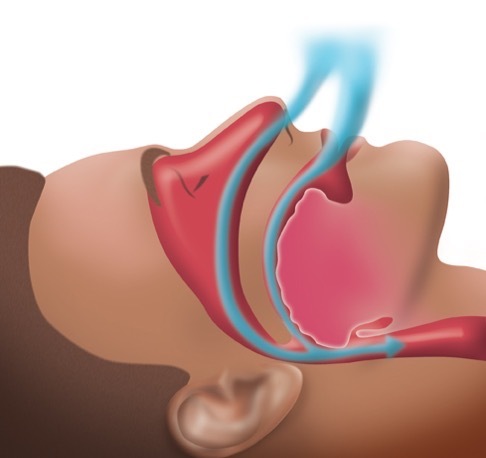 That is the reason that I have become more and more involved in treating Obstructive Sleep Apnea and other sleep problems in my practice. The other thing I’ve learned about how our bodies deal with stress is the importance of relaxation and downtime. Just as your body requires rest to rebuild after a workout, your mind body require rest to recover from the intensity of serious mental activity. Armed with that knowledge, I now realize that my previous philosophy of “i’ll sleep/rest when I’m dead” was a truly bad plan. Now that I know better, I am trying to take much better care of myself. So, over this Christmas break I will be posting less and resting more. That way when 2019 starts, I’ll be rested and ready to attack the new year with a strong mind and a strong body. I’ll make a few posts over the break, but not on the Monday through Thursday schedule like normal. I’d advise all of you to relax and rest as well. As Ferris Buehler so aptly stated, "Life moves pretty fast. If you don't stop and look around once in a while, you could miss it." As a diehard geek, I’m a big fan of Mark Rober. He is a former NASA engineer who has an incredible talent to DIY amazingly engineered things just for the fun of it. Up to this point, one of my favorite projects of his is the dartboard that guarantees a bullseye *every time*. However this Christmas Season, Mark has developed perhaps the best geek Christmas gift ever. He had a package stolen from his front porch by a couple who seemed to just be strolling through his neighborhood with backpacks that they were filling with boxes that delivery services had left on front porches. We have become aware of an issue related to one of our support forms, which is used by account holders to contact Twitter about issues with their account. We began working to resolve the issue on November 15 and it was fixed by November 16. This could be used to discover the country code of people’s phone numbers if they had one associated with their Twitter account, as well as whether or not their account had been locked by Twitter. We lock an account if it appears to be compromised or in violation of the Twitter Rules or our Terms of Service. More on what it means when an account is in a locked state here. Importantly, this issue did not expose full phone numbers or any other personal data. We have directly informed the people we identified as being affected. We are providing this broader notice as it is possible that other account holders we cannot identify were potentially impacted. Since we became aware of the issue, we have been investigating the origins and background in order to provide you with as much information as possible. During our investigation, we noticed some unusual activity involving the affected customer support form API. Specifically, we observed a large number of inquiries coming from individual IP addresses located in China and Saudi Arabia. While we cannot confirm intent or attribution for certain, it is possible that some of these IP addresses may have ties to state-sponsored actors. We continue to err on the side of full transparency in this area and have updated law enforcement on our findings. No action is required by account holders and we have resolved the issue. If you have any questions or concerns, you can contact Twitter’s Data Protection Officer, Damien Kieran, by completing the online form located here. We recognize and appreciate the trust you place in us, and are committed to earning that trust every day. We are sorry this happened. • Who Offers the Best Training and Support? A new story from HealthDay News discusses a recent study done in Great Britain that shows women who snore show cardiac damage faster than men. The full article can be read at HealthDay. two interchangeable handles and stainless-steel IPR gauges. effectively. 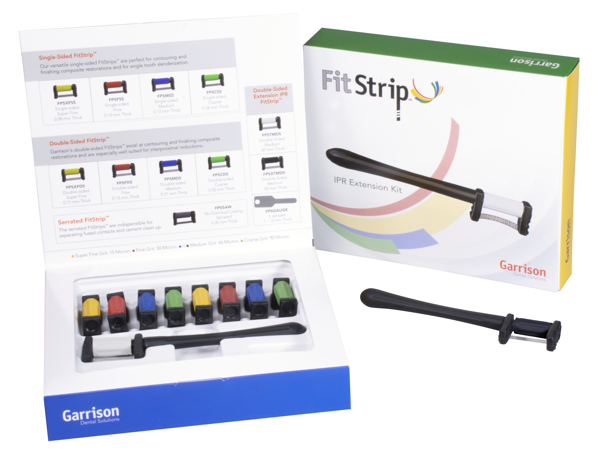 No other system provides FitStrip’s level of flexibility and ease of use. clinician’s hand stays outside the mouth providing a clear field of view and easier operation. cement removal/clean up as well as separating inadvertently bonded teeth. As a clinician, one of the most important diagnostic tools I have is radiography. Next to my own eyes, radiographs are the next most important part of my diagnostic armamentarium. However, x-rays are useless if you are unable to read them. A doctor can own the best sensor in the world, but if the image is viewed on a suboptimal monitor then diagnostic accuracy is lost. That’s the reason that doctors should pay close attention to the monitors they use in their practices. Because the monitor makes such a difference, for the past several years, I’ve been using monitors from Exorvision in my practice. Their latest effort, the 24” DENclarity is truly a homerun product. The DENclarity is exclusively designed for use in a dental office. It has an incredible grayscale and an amazing 1000:1 contrast ratio. This means that subtle nuances in radiographs are picked up clearly and diagnostic accuracy increases. The monitor is also sealed and a glass overlay protects the LCD. This means that the DENclarity can be disinfected by spraying disinfectant directly onto the screen and molding. The plastic housing of the monitor is strong and resistant to staining or discoloration from solutions. It also uses a special low voltage power system that greatly increases safety in a healthcare environment. 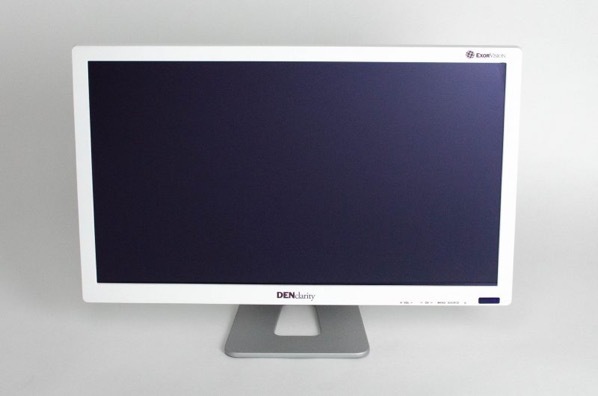 In addition to its healthcare features, the monitor also supports a wide range of inputs. HDMI, VGA, Video, Audio, TV Coaxial, USB, and a headphone jack are all present which makes connecting to the DENclarity easy and predictable no matter what input you may need. It also has a TV tuner allowing the monitor to double as an over the patient entertainment system. Most of us use 2 factor authentication at least some of the time with some of the websites we work with. Usually banking, Google, Apple, and others will help prevent data theft through this process. In a nutshell, you log into a site and before you can access your info, the site sends you a text message with a multiple digit “security code” that you must then enter before the website will allow you entry. 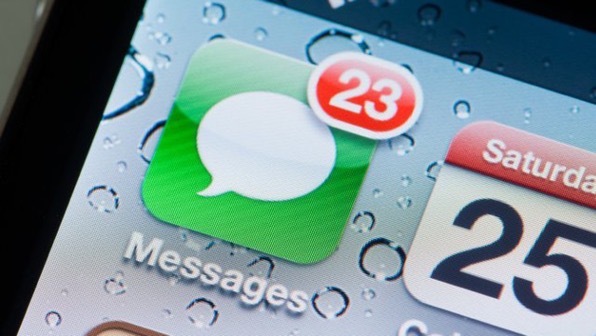 Since most of us live and die on our phones nowadays and always have it with us, sending a message to your phone is a pretty good way of ensuring your identity. That is, it’s a pretty good way IF the company providing the security code is practicing good security themselves. However, a recent case has come to light where just the opposite was happening. It seems that a company called Vovox is one (of many) companies that act as a "gateway” which sends the 2-factor codes to the user’s phone. The idea, of course, is that the 2-factor process allows for better confirmation that the person requesting access to the site is indeed the individual who needs access. It’s another link in the security chain that helps prevent data and identity theft. Now, thanks to security researcher Sebastien Kaul it has come to light that Vovox had made a critical mistake in safeguarding the data of the individual’s requesting the 2-factor authentication. What Kaul discovered is that Vovox had a database of over 26 million text messages sitting on a server. The database was not encrypted nor was it password protected. The information contained passwords in plain text, account security codes, package tracking info, medical appointment reminders, and more. The communications were from companies the likes of Google, Microsoft, banks, medical institutions, and others. When notified, Vovox promptly removed the database. The problem here is that even if users provide *perfect* security, we are still at the mercy of people further downstream from us. Obviously, the best course for anyone to pursue is to remain “security vigilant”, but to also be aware that even with our best efforts, leaks are possible. A tip of the electron to Sebastien Kaul for discovering this and helping to make sure the info was secured. —Ultradent Products, Inc., is pleased to introduce the all-new Omni-Matrix disposable retainer and matrix, a superior circumferential matrix band solution. Designed to perfectly customize to any preparation, the band’s circumference can be easily adjusted simply by twisting the handle, and the pivoting head allows it to access any quadrant of the mouth. Once the restoration is complete, the Omni-Matrix band easily releases without disturbing the restorative material. 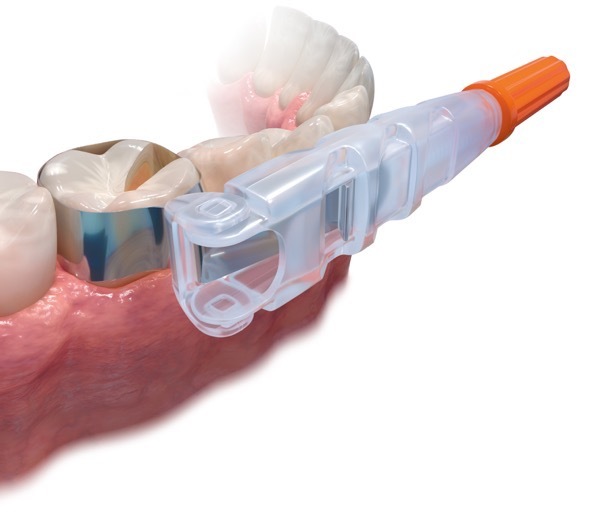 To learn more or to purchase the Omni-Matrix disposable retainer and matrix, call 800.552.5512, or visit ultradent.com. My good friend and co-worker at DPR, Kristen Mott, has written a good article about a recent discovery that the bacteria that cause periodontal disease (gum disease) may also be linked to esophageal cancer. While only about 1% of cancers diagnosed in the U.S. each year, it is a terribly debilitating disease. Also, 1% seems like a small number until you read that it represents 17,290 new cases this year. Oral bacteria has been linked to a wide range of serious medial conditions, including pancreatic cancer, stroke and lung cancer. New research shows that oral bacteria may also be linked to esophageal cancer. 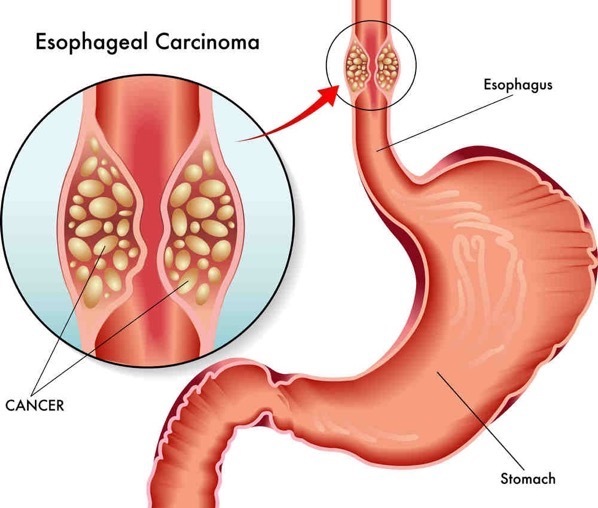 Esophageal cancer makes up about 1 percent of all cancers diagnosed in the United States. The American Cancer Society estimates that about 17,290 new esophageal cancer cases will be diagnosed in 2018. While previous research has shown that periodontal disease caused by certain oral bacteria has been linked to several types of cancer, Jiyoung Ahn, an associate professor in the department of population health and the department of environmental medicine at NYU Langone Health in New York, wanted to investigate the connection between oral microbiota and the risk of esophageal adenocarcinoma (EAC) or esophageal squamous cell carcinoma (ESCC). According to the study, Ahn and her colleagues collected oral wash samples from 122,000 participants in two large health studies: the American Cancer Society Cancer Prevention Study II Nutrition cohort and the National Cancer Institute Prostate, Lung, Colorectal and Ovarian Cancer Screening Trial. According to the research, in 10 years of follow-up, 106 participants developed esophageal cancer. In a prospective case-control study, the researchers extracted DNA and sequenced oral wash samples, which allowed them to compare the oral microbiomes of the esophageal cancer cases and the cancer-free cases. Certain bacteria types were found to be associated with a higher risk of esophageal cancer, such as the Tannerella forsythia bacteria, which was associated with a 21 percent increased risk of EAC. Another periodontal pathogen, Porphyromonas gingivitis, was associated with a higher risk of ESCC. However, the researchers also discovered that a few types of oral bacteria were associated with a lower risk of EAC. Bacterial biosynthesis of carotenoids was also associated with protection against esophageal cancer, according to the study. Ahn told Science Daily that certain bacteria may actually have a protective effect, and future research on the topic is required. The American Dental Association says additional research is needed to examine whether certain bacteria could play a role in preventing esophageal cancer. For the full text of the article, follow this link to Dental Products Report.